We all visualise everyday as we think about what we're going to do, or imagine how something's going to turn out before we do it, or how we're going to feel. Here we take what you do naturally to the next step, so that you visualise with purpose to help you achieve and live the life you desire. Visualisation for Brilliant Living uses the well-established technique of creative visualisation and mental rehearsal used by top sportspeople and performers, to bring you a guided visualisation of your ideal life, including health, wealth, success and happiness. Our carefully crafted visualisation takes you to an optimum state of deep relaxation prior to delivering positive, creative visualisation statements to your conscious and subconscious mind to help you clarify your vision and goals and bring them to life. The visualisation technique for manifesting your desires is set to beautiful, specially composed music and sounds from nature. 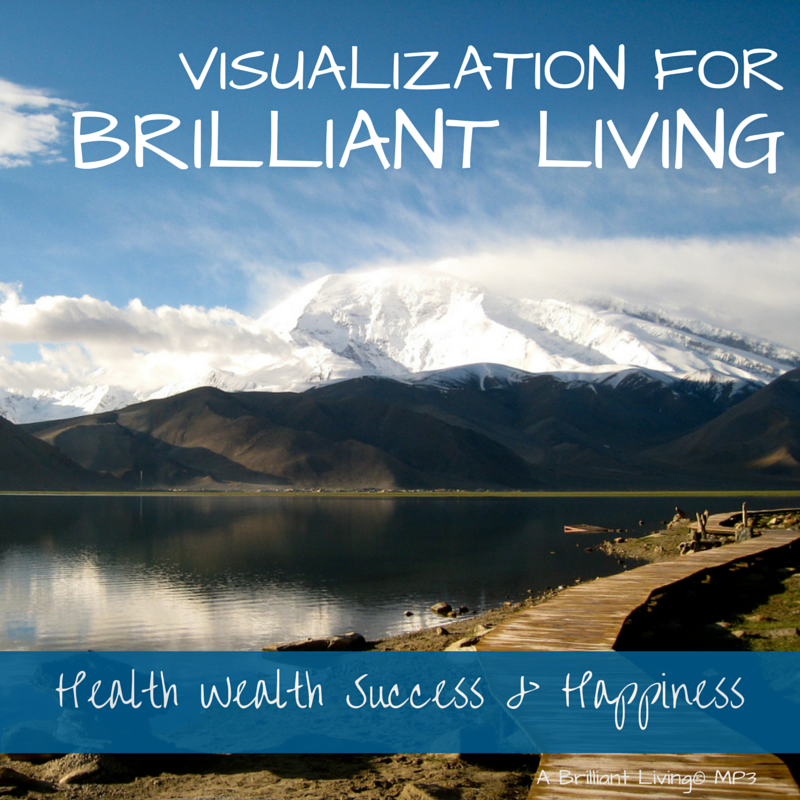 So you can meaningfully visualise success in key areas of your life including health and fitness, home and love, work and wealth, experience and leisure. The carefully crafted dialogue leads you to a state of deep relaxation so you can effectively picture and embed your goal-setting dreams and vision. In line with best practice to engage your subconscious to support your goals through assuming the positive visualisation statements are real now. Real sounds from nature (with no loops) mean you're gently and lovingly brought to a state of genuine relaxation. A choice of voice to listen to, so you can fully relate to this guided visualisation with a voice to suit your preference. Specially composed music to enable a perfect mix between music and narration. Click the 'Buy It Now!' button to provide your payment details, using your debit card or credit card account. Following payment you will receive an email with the link to download the .MP3 file straight away.